Something I enjoyed at the NFDA convention was getting to see many of the other funeral bloggers and writers in person. As far as I can tell there are a small number of us out the in cyberland that enjoy writing and sharing our thoughts about funeral service with others. And we have developed relationships online but rarely do we get to meet face to face and talk. At this meeting I got to see Ryan Thogmartin from Connecting Directors and CDSocial who is recovering from a car accident. Alan Creedy, whose Creedy Commentary gives me great insight on every entry. Tom Parmalee, the editor of “The Funeral Insider” and The American Funeral Director”. Ed Defort, the editor of “The Memorial Business Journal” and “The Director”. Tim Totten, master designer of quilted cot covers, whose blog “Final Embrace” inspired me to start this blog. Scott McAuley, whose new product, Thanoseal, won the best new product award this year. Scott is regular commenter on Connecting Directors under the pen name sixaros (maybe I shouldn’t have revealed that secret). Benjie Hughes, funeral director and a regular commenter on Alan’s blog. Paul Seyler, whose quiet behind the scenes work at countless casket and funeral companies over the years has affected the whole industry. And I was disappointed that Ray Visotski, author of “A Simple Village Undertaker” blog wasn’t there. I’m sure Ray and are I are really twin sons from different mothers by the way our lives and writing are so similar, though we have yet to meet in person. I look forward to reading everything these folks write. Their insight and conversation let me know that I’m not alone out here struggling to keep my family business alive and funeral service moving into future. What’s too bad about seeing these folks is that we really didn’t get to sit and talk. On the convention floor we said hi, shook hands, exchanged pleasantries and moved on. It would be fun if next time we can all get together for lunch, or cocktails for an hour or two and just talk. Do some “point – counter point” on things we have written and solve all the problems of the funeral industry at one time. Maybe we could do a panel discussion in front of a crowd? Anyway, it was good to see all of you. I look forward to continuing our conversations both online and in person. I’ve been to enough of these through the years that they start to look familiar. You can break the review of a convention down into a few catagories; new products, new services, new versions of old stuff, the regulars, meetings, and speakers. 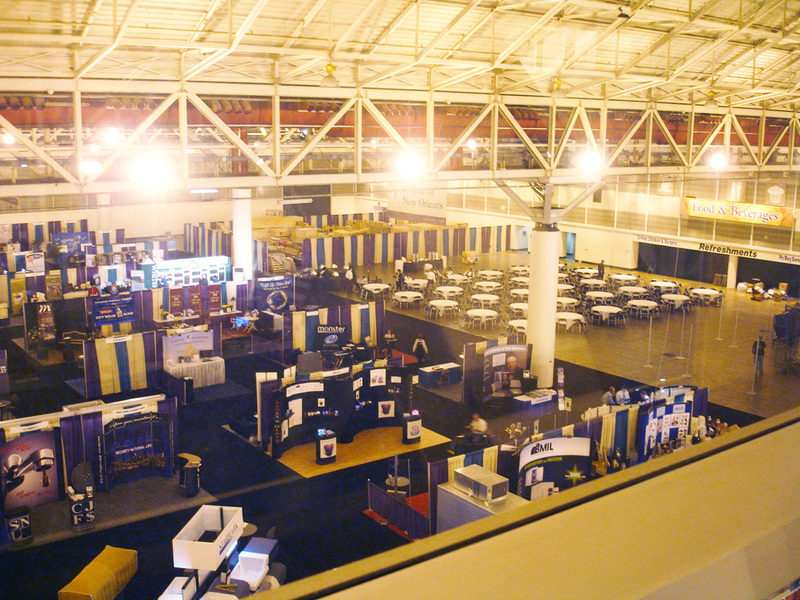 NFDA Convention has primarily always been about products. Things that funeral directors buy to resell to customers or things that they buy to help them do their job. The convention floor is filled with so many different products that it’s hard to get through the whole floor in one afternoon and even harder to remember what you saw and what you liked. Here’s what caught my eye this time. A wireless portable sound system. This was compact, clean sound, plenty of power and a neat and easy-to-haul case. It came with built-in wireless Microphone, cd player and a hookup for an ipod. Memory Glass – This is a product where they take a small portion of ashes and swirl them into blown glass. They come in pendants, touchstones, and bigger table models. They are priced right and practically indestructible. Electronic Filing System – This is a slick system that scans all of your documents quickly and easily places them onto your computer in easy to find folders. Electronic fingerprint system for cremation services. This is a great service and slick equipment that allows you to electronically fingerprint a body at the first call and then track the body through the whole cremation. Now there were hundreds more things that I saw. And it would be great if I could afford to buy lots of all the great looking urns and jewelry and set it up in a beautiful display in my funeral home. But the reality is that each new product requires training and a new sales pitch. Not just for me but for the dozen people on my staff that end up showing our customers that product. And this would be in addition to the caskets, vaults, urns, jewelry, printed material and services that we already provide. So I try and narrow it down to just a couple new things every trip. Otherwise the staff gets overwhelmed and the new products get shoved on a shelf or stuck in a closet. Here is an example. Two years ago I signed up for a webcasting program so we could video tape our services and put them on the internet. It is a slick system. (But remember I’m a geek at heart and like gadgets) It can be used anywhere and I also hooked it up to our in house video system. I try and use it on every service I plan. But the rest of my staff is a little electronically challenged (and that’s OK). So because they don’t quite understand how to set the whole thing up and the family isn’t asking for it because it’s a new thing, it doesn’t get used or promoted the way it should. Not because it’s not a good service/product, but because it’s just one more thing added to the list of services and products that funeral homes are now trying to offer to keep up with the changing society. Yet we never seem to eliminate the old things we provide right away. So there is this transition period where we have so much stuff that we are trying to do that sometimes the new stuff doesn’t get the attention it needs to take off. This is unfortunate for all those vendors who have worked so hard to get their product in front of us at the convention. Some of these vendors are even complaining that funeral directors at the convention are arrogant, stuck up, or just plain dumb that the FD’s can’t see that they need to use their product. To them I say, “lighten up, Francis”, (a favorite quote from a Bill Murray movie) You forget that it probably took a year or more of trial and error, prototypes, changes and tweeking before you decided your product was ready to show to the public. Don’t expect them to always “get it” in a 5 minute infomercial on a busy convention floor. What you new vendors don’t know is that many of us have seen hundreds of products show up on the Convention floor, create a lot of buzz in the press, and disappear in a couple years. I can pretty much guarantee that “Hot Rod Caskets” won’t be around in 3 years. We don’t see the “return to sender” Art Caskets anymore do we?? I’m writing this at O’Hare airport in Chicago. Jodi and I are on our way back home after spending 4 days in New Orleans, LA at the National Funeral Directors Association (NFDA) Convention. Our flight to Grand Rapids was over booked and we volunteered to take a bump to a later flight for two $300.00 vouchers. I’m thinking that’s a pretty good deal for hanging out a couple more hours. It was a good trip. We saw lots of friends, ate some great food and spent a couple evenings wandering down Bourbon Street taking in the sights and listening to music. Some of you may wonder what it is that we funeral directors do at a convention. For some funeral folks, it’s a time for them to let loose a little out of the sight of their normal neighbors and customers. But for Jodi and I, we really go there to learn as much as we can and reconnect with longtime friends that also work in the Funeral Industry. 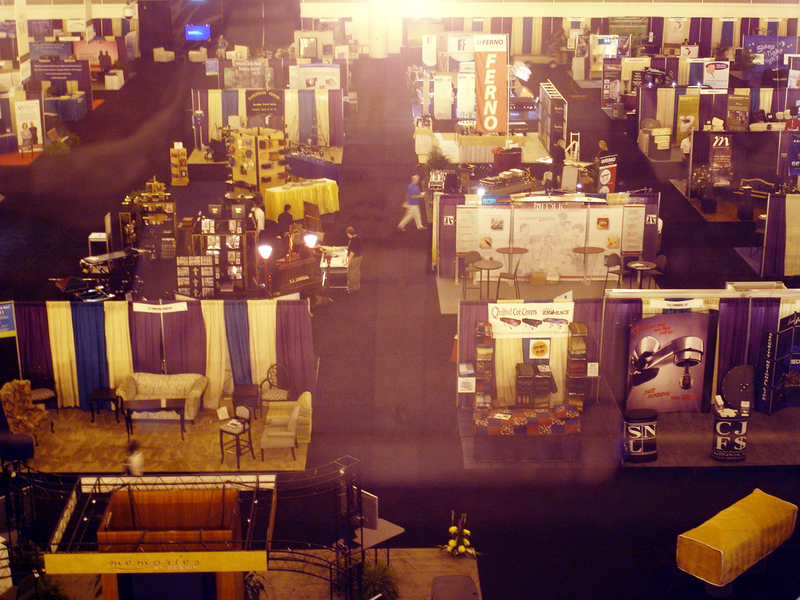 There are hundreds of different vendors that display their products on the huge convention floor. There are casket companies, hearse and limousine companies, computer and software folks, dozens of cremation urn makers, insurance companies, marketing folks, people who make and install crematory equipment and too many others to name here. We spent several days walking up and down the aisles looking at the new products and listening to vendors give us their best pitch on why their product was something that we just couldn’t live without. I didn’t buy anything this time. But I did take a bunch of brochures home so my staff and I can go over some of the things that I think had potential. But what I enjoy most is attending the seminars that also take place. They start at 7:30 in the morning and go till noon. (which is a little hard for some folks who had too much fun the night before) The seminars talk about new ways of doing business and better ways to take care of the families that call on us. It was very obvious from the meetings and conversations that the increase in cremation nationwide is rapidly changing the way funerals are conducted. It’s forcing many places to really start thinking about changing how they do business. Over the next couple days I’ll make a few more entries about things I saw and heard at the convention.